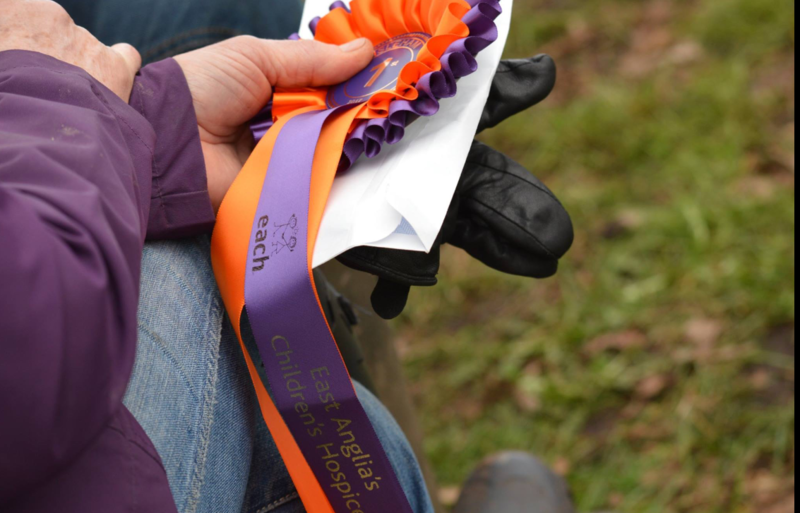 First up, 6 eventers who kicked off the new season with wins at Epworth, Isleham and Moreton. 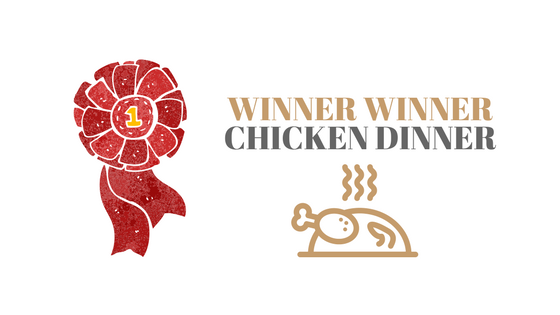 Find out all about their horses, their plans for the season and inspirations as well as learning what will be in their celebration ‘Chicken Dinner’. 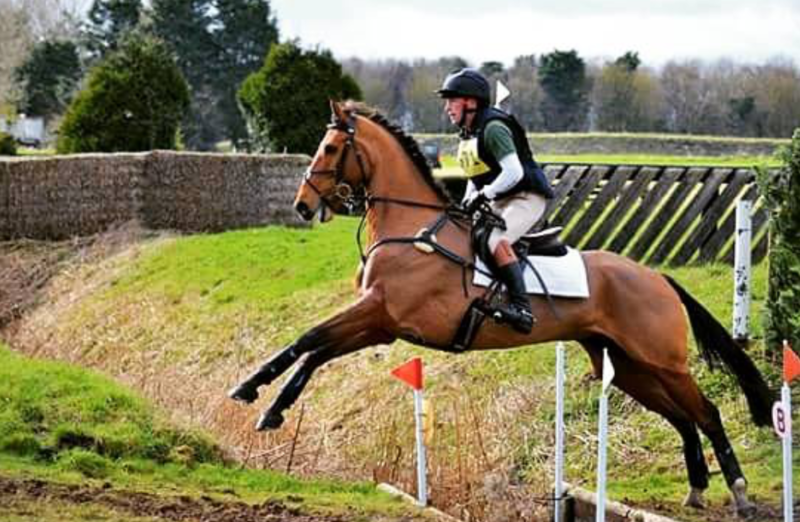 35 year old professional event rider, Simon Grieve, from Tilton on the Hill, Leicestershire competed in the first event of the season at Isleham (4-5 March 2017) and achieved a hat trick of wins riding Karen Broomhead’s Bonhunt Bertie in the BE90 Open (which incidentally was his 60th BE win), Merna Merrett and Catherine O’Connors Wallstreet VB in the BE100open and Polly Taylor’s Mr Fahrenheit in the Novice. He also finished second in the ON riding Joanne Rutter’s The Rutman. What are your aims for 2017 for these horses? Bonhunt Bertie will do 5yr old classes and hopefully aim for the Osberton championship, but there’s no rush or pressure – he’s only a baby. Wallstreet VB will be going Novice soon and Mr Fahrenheit is aiming to go to Ballindenisk to do his first three day event. It all very much depends on how they are going and feeling – plans can and very often do change. I’ve come to the opening event at Isleham since I was a nipper. I used to drag my mum there so I could watch my heros with my video camera and autograph book in the freezing cold and wind. She was very long suffering of her geeky son. I did my first hunter trial and affiliated event there – and got eliminated!!! The reasons to come back are the ground is amazing, the welcome warm, it will run whatever the weather (unless they were to have VERY heavy snow), plus it’s run for charity – why wouldn’t you come! I couldn’t possibly pin point one. I have worked for, ridden for, been trained and helped by a huge range of amazing people who have all had a massive influence on my eventing. My partner who puts up with so much. Always there to scrape me off the floor/sit by my hospital bed when I’ve got myself in trouble and the first to celebrate with me when it’s gone well. How addictive it would be! 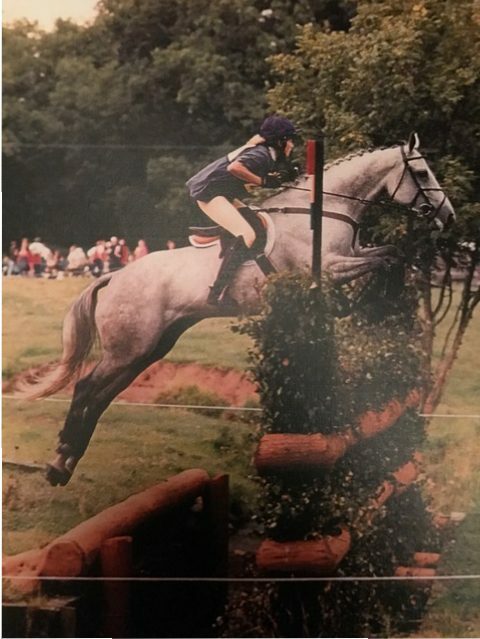 I’ve done so many silly things eventing, but I do remember doing a dressage test on a horse called Mini Me who was quite feisty – she plunged and reared her way out of the arena, eliminating us. She then continued launching and rearing, completely out of control across another 3 or 4 arenas which were occupied at the time. All my ‘supporters’ were rolling about on the floor with laughter!! Piggy French still won her section despite this which the Horse and Hound happily reported – it was a claim to fame of sorts! I absolutely love Burghley. The atmosphere is fantastic, it’s a beautiful place and so well run. Competing there was a childhood dream and crossing the finish line on a clear cross country round is an indescribable feeling. Steak with a Stilton sauce and chunky chips washed down with a pint of cider! Ed Sheerhan at the moment…I love Castle on the Hill! 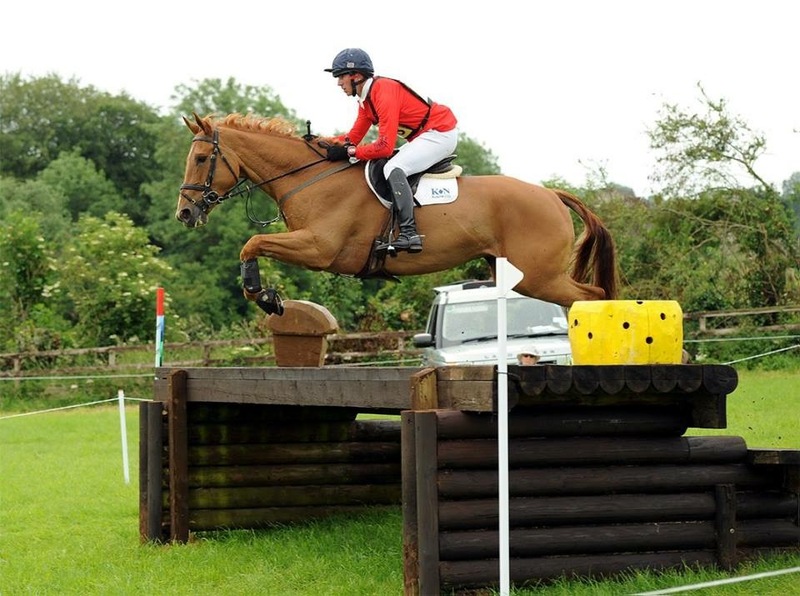 24 year old, David Doel from Lacock in Wiltshire won the Novice at Moreton riding Ferro Point (her first win). David has been successfully riding full time for the last 8 years. It was my 2nd time at Moreton, we went last year after Aston le Walls abandoned like it did this year, and really liked it so we wanted to come back and support it again. My Dad, he is not very horsey but has got lots of cows, he keeps everything going at home when we go away and puts up with mum and I.
Don’t rush things take your time with the horses and the results will come. I fell off in the Dressage arena in the 1* out in Haras du Pin France, at the time it was not very funny but looking back now we all have a good laugh about it. I have a few but we went to Blenheim last year and it was fantastic cantering round one of the major competitions and as a rider they really looked after us there. Lasagne that my dad cooked and a beer. A song called the Four Chords song by The Axis Of Awesome they are a comedy rock band and it’s very funny. 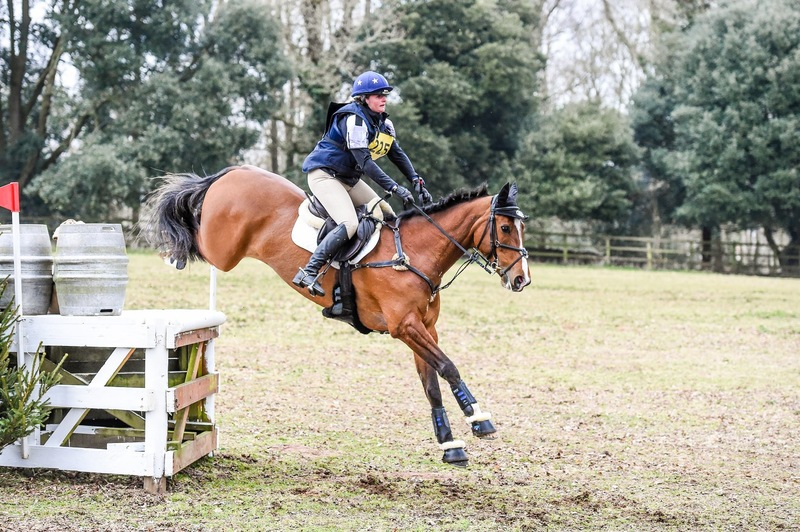 23 year old, Lauren Hayton from Leicestershire won her first competition with Billy Ball (Congo) in the BE90 at Epworth Horse Trials (4-5 March 2017). I hope to complete a mid-season 1* with him, and I would like to finish the season with a few Intermediates. Will you be coming back to this event? I will definitely go back, it was well organised and a lovely course. 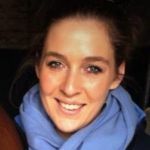 I would say Lauren Shannon, I am currently based with Lauren and since I have been there I have achieved the goals set and have a plan to move forward with the horses. My parents, they aren’t horsey at all but they are always at the events with me and are the best support. I wouldn’t be able to compete and do the horses full-time if it wasn’t for them. How much I would enjoy it, I groomed at one day events but I only showjumped myself. I wish I started eventing earlier. It would have to be when I managed to jump a fence that wasn’t part of my course, on the cross country. The flags were in front of it but I couldn’t stop my mare. It then took me a while to figure out where I was, as I jumped into a different field. That was pretty embarrassing! I love Burgham Horse Trials, because the course is lovely and always rides well. Also I’m from the North East, so I always nice to be back. I would have a steak, with sweet potato fries. Washed down with a glass of white wine! I’m currently listening to The Kooks album, luckily I’m usually in the lorry on my own as my singing is that bad! 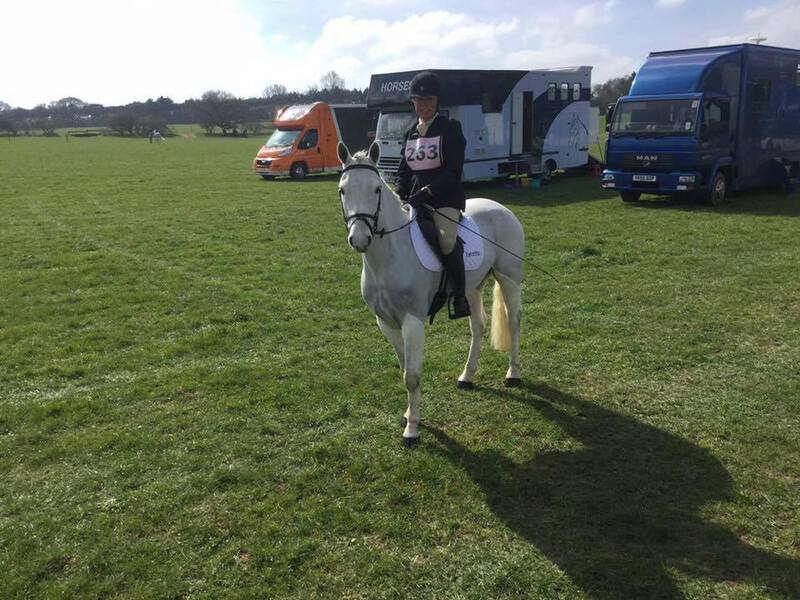 35 year old, Vicki Fahey from North Yorkshire won the BE90 at Epworth Horse Trials (4-5 March 2017) on a return back to eventing on her daughters pony. 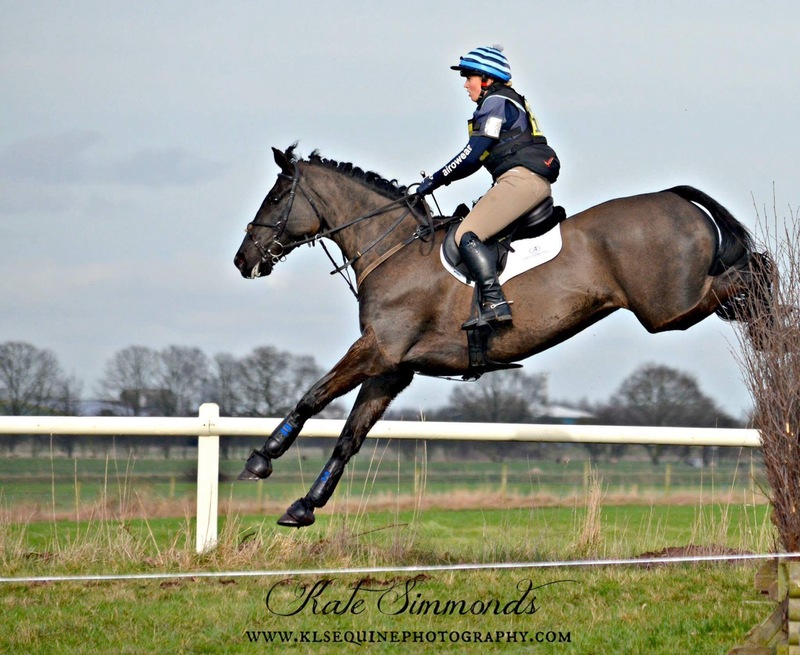 Vicki previously evented through her junior years up to 2* level before hanging up her boots when she got married. She has since ridden as an American flat jockey and won a few races, including the Ladies Diamond Race at Ascot on King George Day. I’ve qualified for the Mitsubishi Motors Cup at Badminton, so that’s my aim for the season to go as well as I can there riding I Blame Bertie. Then the plan is to sell him, as we have two youngsters to get going . It was a lovely friendly event! I would definitely go back, it’s easy to get to and it’s perfect to take young horses for their first run. It is also a lovely first run of the season. My inspiration would have to be my daughter, as I’m only back eventing because of her and riding her ponies. I’m loving it more than ever! Carole Dennis. We keep the horses at Carole’s yard, she is great. She is always on hand with great advice and help. 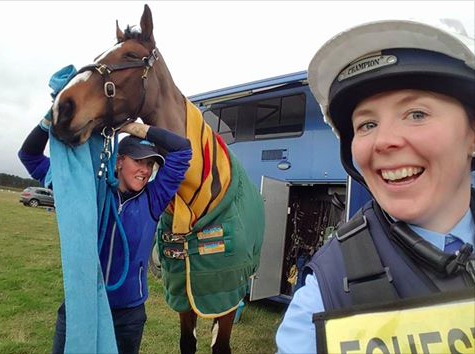 It is always fun to go and ride, the horses are all really relaxed and happy and most importantly look fantastic. How addictive it is and how much it costs!! I now know how much I cost my parents as a kid. 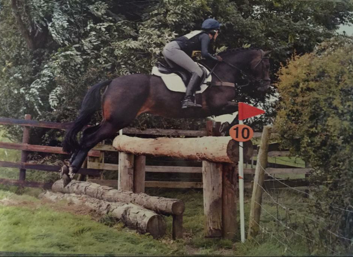 Vicki Fahey aged 18 jumping round an Intermediate. Oh gosh there are so many! It would have to be years ago when I was at Tweseldown on the northern JRN team when we pushed a portaloo over while someone was in there. They didn’t come out looking or smelling that great! I don’t really have a favourite event. I do love going to Bramham and watching though. There is always lots of people we know and a great place to catch up with old friends. It will have to be a Sunday roast and most importantly with a Yorkshire pudding I just love them! Washed down with Prosecco and a table full of good friends. There are so many songs we sing to but my favourite at the moment is Video Games/Lana del Ray! 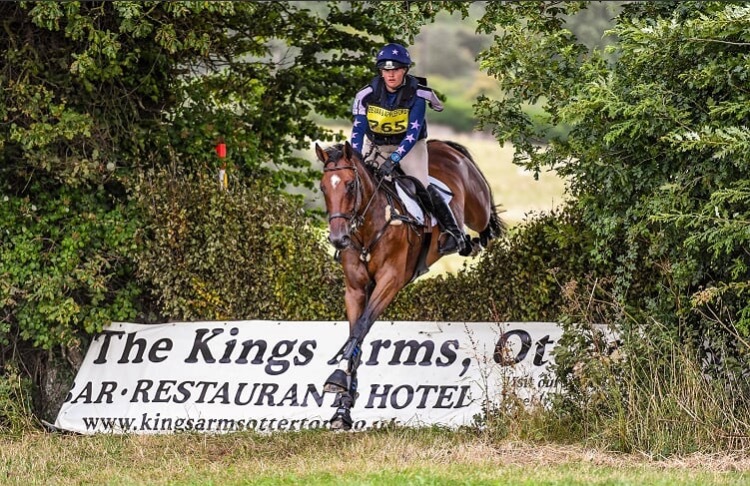 26 year old, Sara Bowe from North Yorkshire won her first BE100 with Kingsleypark Panther at Epworth Horse Trials (4-5 March 2017) in her 5th season as a professional rider. 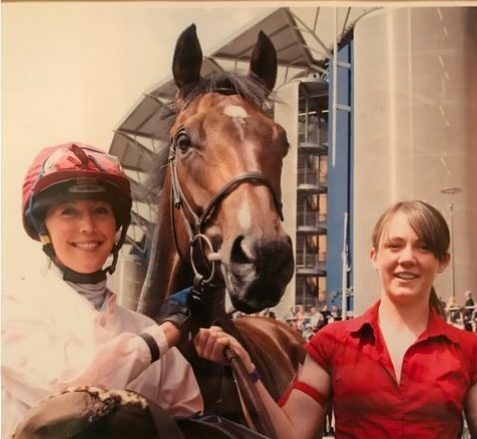 She competed Kingsleypark Panther as a 4 year old but the following year she broke her leg and couldn’t ride him so he went to Nicola Wilson for the season. 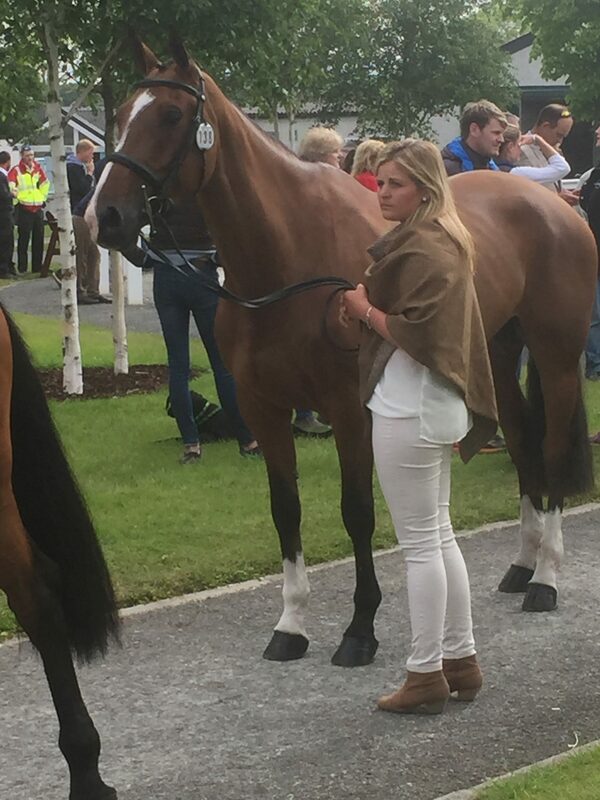 She is so happy his owner, Deirdre Johnston, has given her the chance to ride him again. We are hoping to step Panther up to novice and one star this season. They coped brilliantly with the amount of rain we had before the event and everything was organised really well, we will be back next year! There are lots of people who have influenced me for different reasons as the years have passed. Mary King for being fantastic year after year, Nicola Wilson for having the ability to smile no matter what, William Fox-Pitt’s amazing 4* records but I think most recently Michael Jung’s awesome ability and horsemanship! This is definitely my parents, they do so much to ensure that I can run my yard effectively. Mum drives us everywhere in the lorry, to training and competitions, once we get there she helps get horses ready and helps me warm up. She is always around to help me make decisions. She also owns a full and half share in two very special horses on the yard. Dad also does a lot for me, maintaining the lorry, paddocks and the yard. He spends his life emptying my trailers and picking up straw! My junior horse once did the open intermediate at Lincoln Horse Trials and I couldn’t get near the corner due to a life size model of a cow stood next to it! Blair Castle. It has all the atmosphere of any 3 day event but the setting is just beyond amazing. You are surrounded by beautiful scenery in every phase of the event. 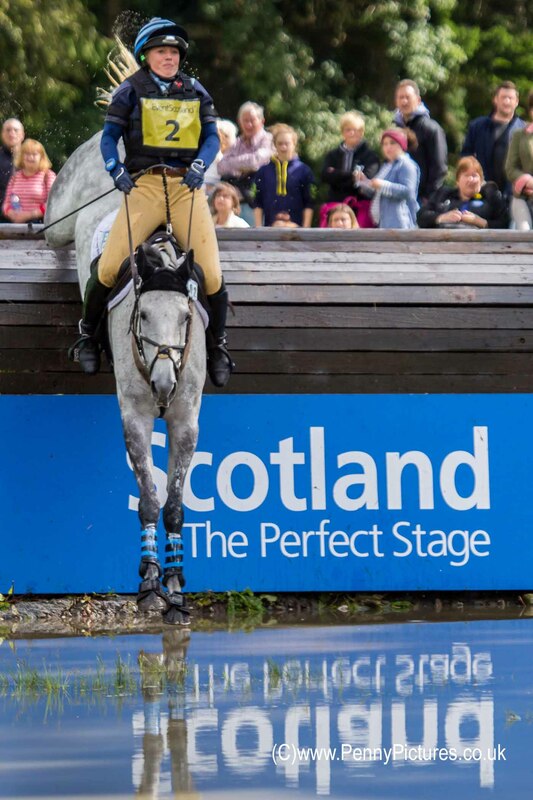 Seaworthy jumping double clear on Sara Bowe’s 3* debut at her favourite event, Blair Castle © Penny Pictures. A cheesy pizza and fizzy rose wine! Sara Bowe riding Kilcoltrim Mermist owned by Caron Chapman at Richmond Horse Trials. 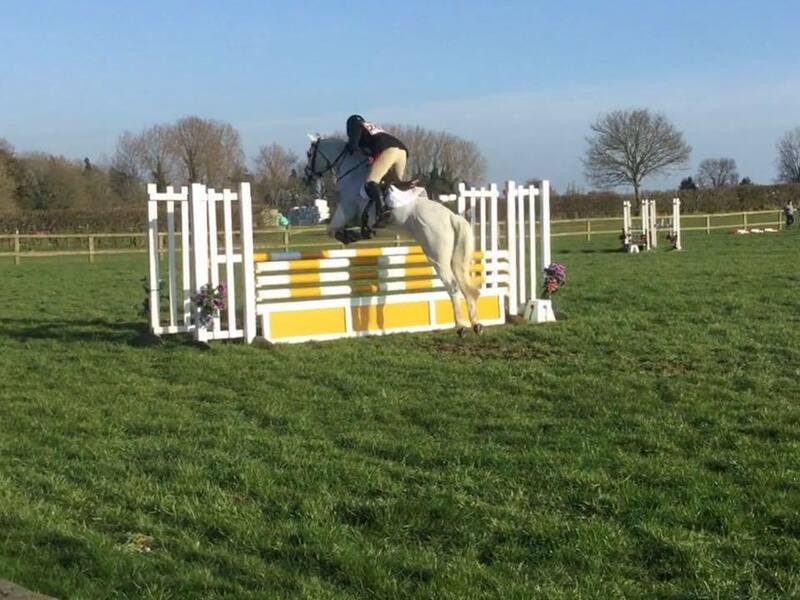 45 year old, Joe Wise from Cambridge won the BE100 at Isleham (4-5 March 2017) riding Annsfort Quality. 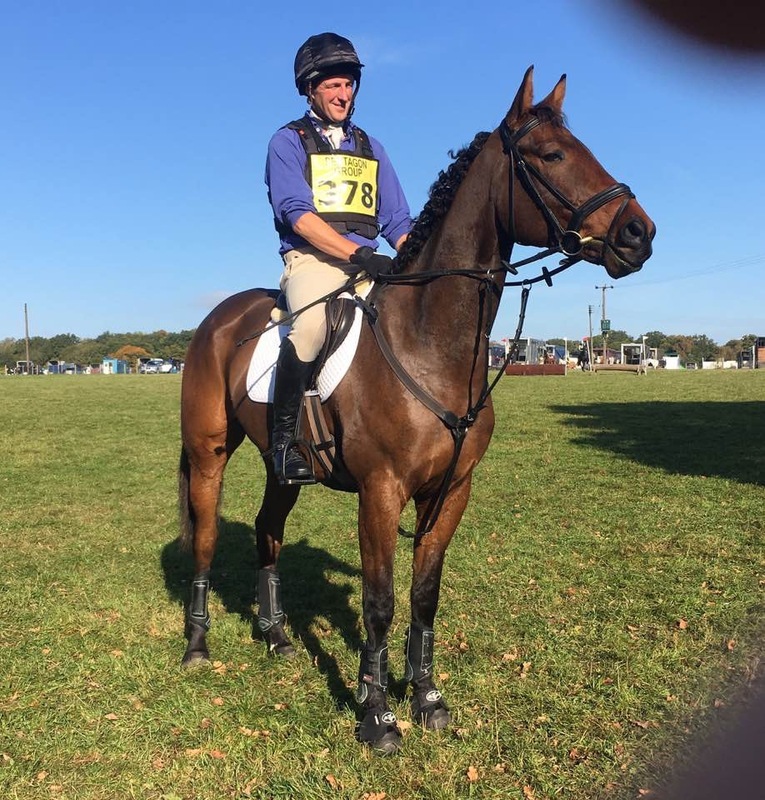 Joe has a pretty time consuming business hence finding time for eventing can be a problem…however kicking the season off with a 1st and 9th is very good going for an “amateur”. 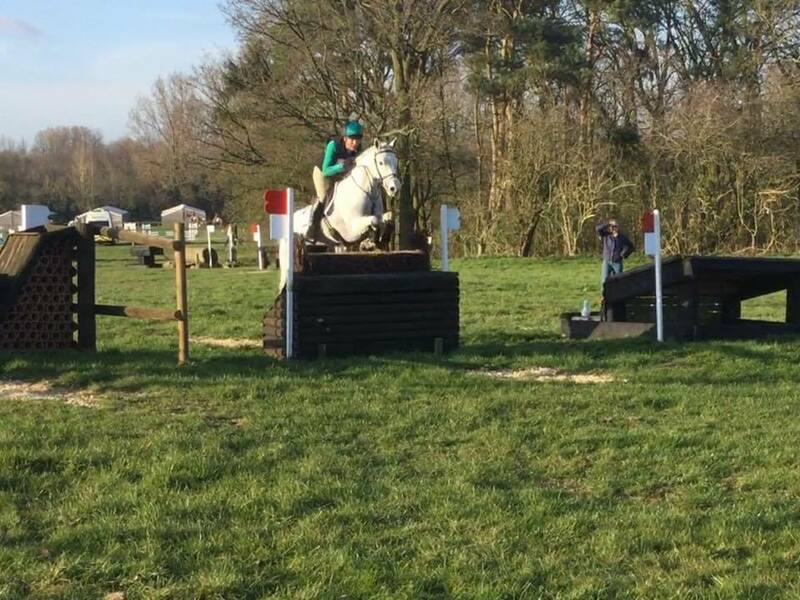 Move up to Novice and then 6 year old class at Osberton at the end of the season. Regular – I have been going to that venue since Pony Club days (scarily over 35 years!!!) – always a great start to the season, whatever the weather it always runs on good ground, and it’s close to home! Definitely Owen Moore who teaches me…I’ve trained with him probably for about 15 years and he always helps me get the best out of the horses. 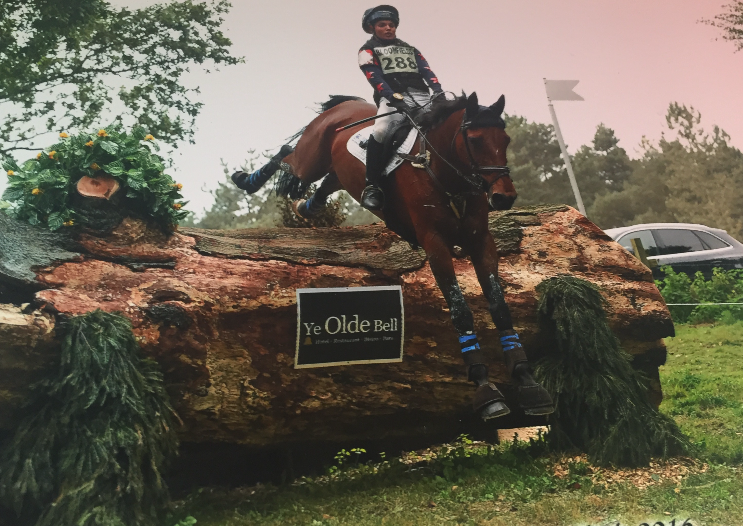 I’ve evented since a kid in Pony Club …..I’d love to know what life would be like without a totally irrational addiction to horses and eventing ! Arriving at an event and letting the ramp down …..only for the ramp to fall off with the horses still on board (not funny at the time) …..or driving into an event, getting stuck in the middle of a field, only to realise the event was cancelled and there was absolutely no one for miles around to tow us out (actually not funny at the time either!). Despite swimming in both waters I love Chatsworth for the setting. Roast Beef and a bottle of red. 20 year old, Taggy Forester Bennett won the ON at Moreton (4-5 March 2017) with her mare Bonza Moorabinda. Taggy has a newly opened event yard in Blackdown Hills, Devon. She has been riding Bonza Moorabinda for two years now after forming a syndicate to buy her at the end of their first season in 2015. Moreton was also their first event together that year and they won the ON then too, so to do the same this year was very special. Since then she has won 3 ON’s and had a few 2nds & 3rds in the OI’s too. Taggy is sponsored by Clare’s Equestrian. This year my plan is to compete in the under 21 trials with Moo and possibly another horse if the right one was to come along. Like I said, it was my second time to Moreton with Moo, But I have been a couple of times before this. 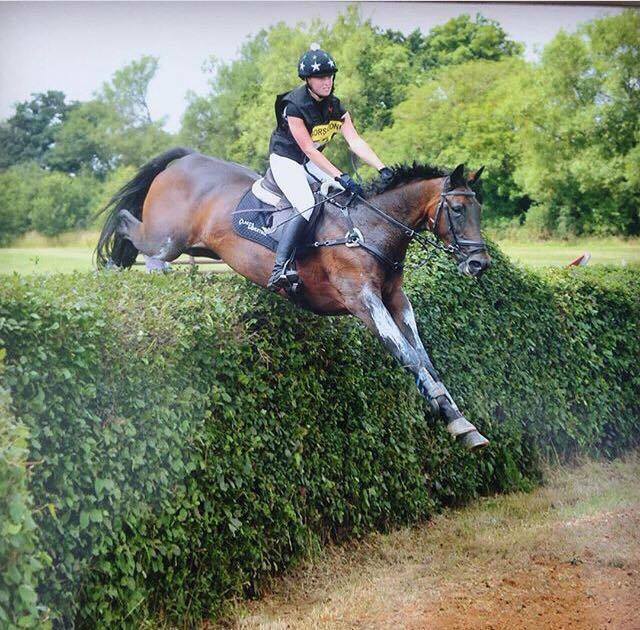 When I was doing the Pony Trials, Moreton BE100 was always our first run to set us up for a PT Novice trial. It’s a great event to start the season with. The dressage is tucked away, showjumping’s on a surface and it has a kind and encouraging cross country course. What more do you want? 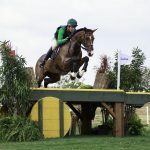 My biggest influence of my eventing career has to be Vicky Tuffs. I spent 3 seasons with her as a working pupil. 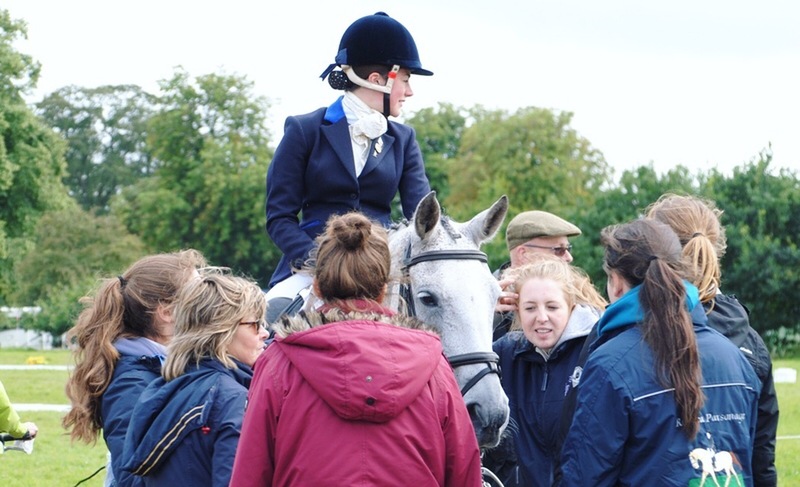 In that time I learnt a huge amount on how to run an event yard and how to be successful in the sport. I hope to be as successful as her one day, we’ve all got to have goals! This has got to be my mum. I don’t thank her often enough but I would be lost without her. She has backed every decision I’ve ever made, from leaving school to become an eventer, to selling our lovely horse who we’d spent years producing in order to fund building an arena at home. Plus she is a fantastic groom! Hrmmm… Don’t expect any time off? Ever! Personal relationships are an important part of being human but they’re hard to keep up. If we are talking about my funniest experience it has to be playing Donkey Polo at Ballindenisk, Ireland on donkeys that weren’t really broken in. Some people were getting bucked off and mine wouldn’t move! I think I’d still prefer that one. We all came away with very grubby jodphurs. 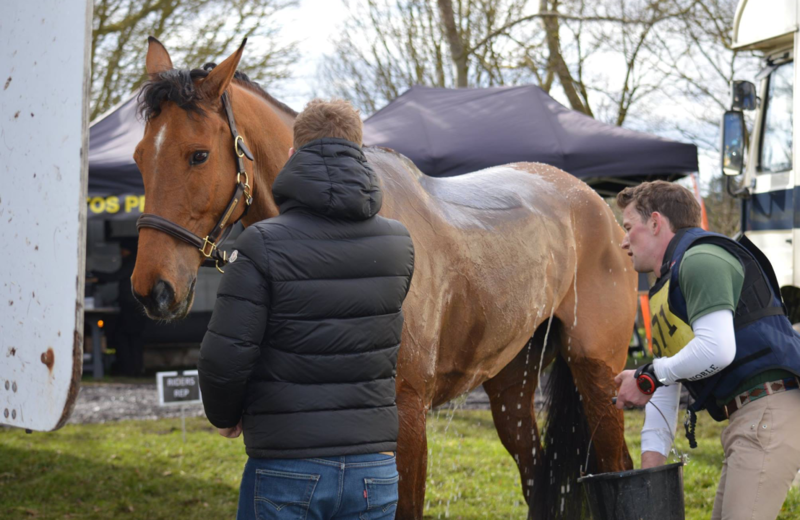 The last event of the season at Aldon is my favourite. It’s always so relaxed and everyone is there! As we knew we would be back from the event so late we had spaghetti bolognese which had been in the slow cooker all day, it’s my favourite meal so I can’t complain. I’m not much of an alcohol fan unless I’m going out, so I acquainted my meal with a large glass of squash to rehydrate after a day of eating and drinking very little. Our lorry radio cuts out quite often so singing along to songs is a risky business. Mum drives, her favourite lorry sing along is ‘Tragedy’ by Steps, if that comes on its time to get your ear plugs out! 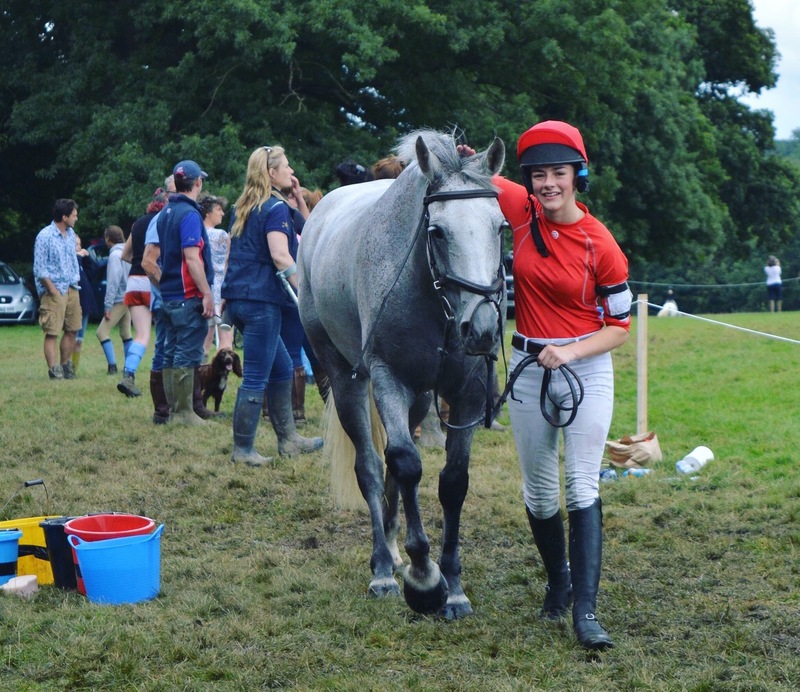 17 year old, Holly Needham travelled 3 hours to get to Isleham to compete in the ONu18 with two horses. Strike A Pose took the win by 10 penalties on a dressage of 24.8 and a double clear and was the only one in the time. She has had “Striker” for nearly 2 years following on from Eliza Stoddart, he has a very big personality and is very independent. Her other horse Cruz V took 3rd which she was also very happy with as she has had him since he was 5 and he is now 10. Holly is currently studying 4 A levels at Malvern College, Worcestershire. 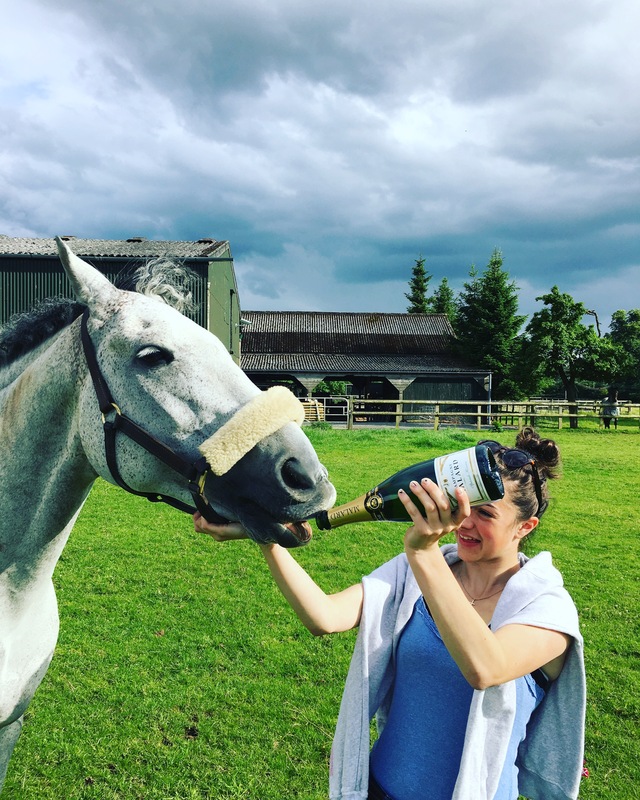 She has evented since she was 13 doing ponies first and moved on to horses, before this she did working hunter ponies and won at the Royal International and was 2nd at HOYS. I am going to compete at the Junior Trials and hopefully move up to 2*. No, for 3 years now Isleham has been my first event of the season as many others seem to cancel. The organizer said “The ground is like a heart it just keeps giving and giving,” I completely agree with this and we are so lucky at the amount of rain we had but they kept the ground so good. I would say my trainers as without them I wouldn’t have the knowledge or the experience that I currently have. 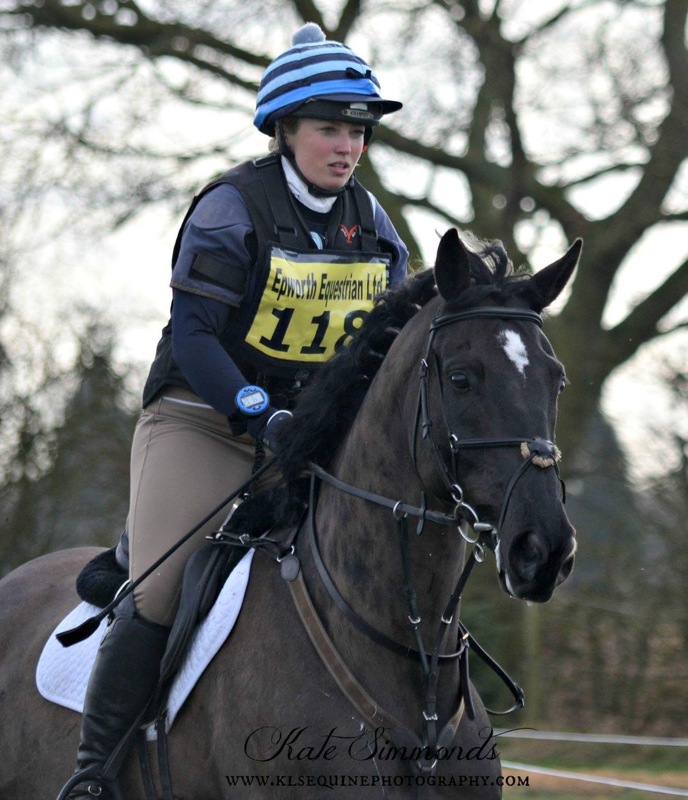 Islay Auty has helped me since I was 12 and Nick Gauntlett since I started studying at Malvern. 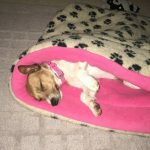 We are a small team but I have to say both of my parents, as I am at boarding school so am only able to get away a few days a week which means my parents hack them out for me. They gave up racehorse training to be able to help me with my eventers and drive me around the country for training or competitions. How hard it is to keep a grey horse clean especially for an 8am dressage test, and warming up in a muddy field. I swear I always pick the boggiest area. Forgetting my pants at Oasby last year! I had slept in the back of the lorry all the way and we left around 4am so I clearly had forgotten them as we arrived and there was no sign of a spare pair in my bag so I had compete commando. 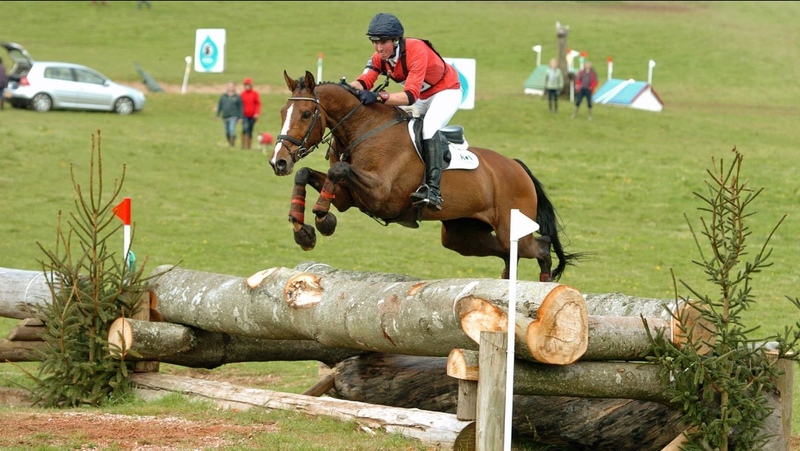 My favourite event would be Osberton, the event itself is brilliant the ground is looked after really well. Its always run very smoothly especially the evening entertainment. Last year they had question of sport between the GB and Other Nations. It was brilliant and so funny, such a good idea. Well I know what I’d wash it down with….. Pol Roger (which is my favourite but Striker will drink anything) champagne courtesy of my Grandmother who has it chilling on our arrival back. Normally we get back quite late so it’s a quick rush to the fish and chip shop! We really know how to celebrate!!! Well we have a few in the lorry, on the way to an Event we have to listen to James Bay “Hold back the river” and my mums favorite “Red light spells danger,” by Billy Ocean. On the journey home to my dads disgust we listen to the 14mins 50secs of showaddywaddy mega mix, if anyone ever saw us they would think we were mad singing along! 26 year old, Charlotte Rowe from Devon won the BE100 Open at Moreton riding HHS Leacourt Cavalier owned by John Bevan and Peter Appleford and also the Open Novice riding The Emerald Lily owned by Mrs P Rowe. 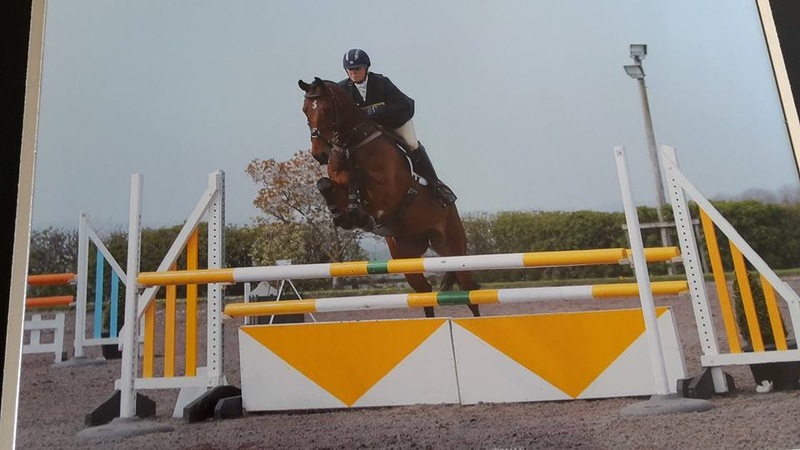 HHS Leacourt Cavalier – To compete in the CCI 1 star at Ballendenisk in April with the end of season aim being the 6yr old championships at Le Lion. 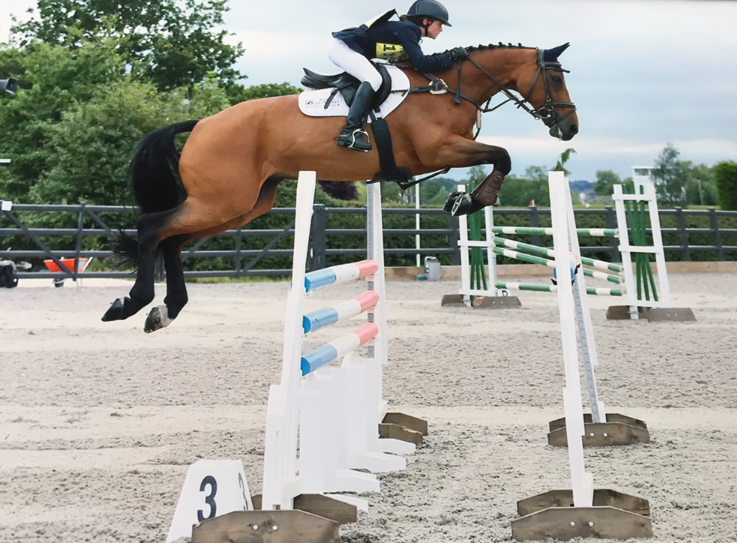 The Emerald Lily – To compete in the CCI 2 star at Ballendenisk in April, then our 1st advanced at Aston Le Walls with the end of the season aim being Blenhiem CIC 3 star for the 8&9 yr olds. 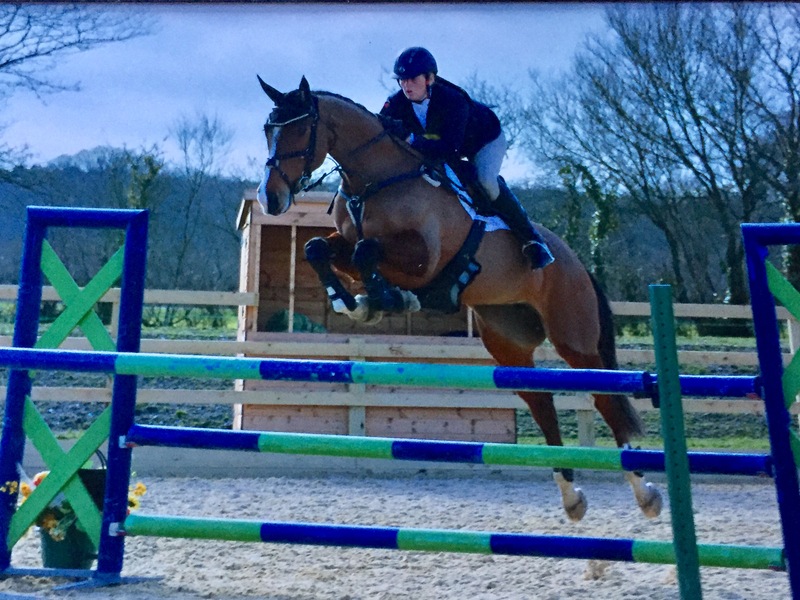 I am a regular at Moreton as it offers a great start to the season in the South West excellent facilities and courses to get the horses ready for the rest of the year. I can’t pick 1 particular person but I am inspired by all the professional riders I see and learn a great deal from watching them ride. The team of girls & boys that work endlessly on the yard and at competitions in all weathers and at all times of the day, as without them none of this would be possible. How bad a 2am alarm is! Turning up to an event and realising we had no numnahs or pads for 6 horses! Luckily we have lots of friends. 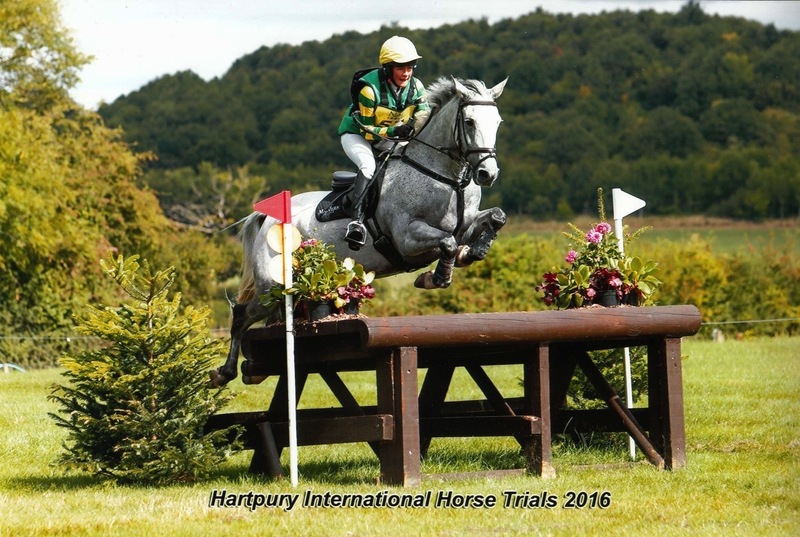 Barbury, as it’s a lovely setting with a great atmosphere which my horses and owners love and it has brought home many prizes for me. My “Chicken Dinner” would have to be Hunters Chicken washed down with a fruit cider. Wagon Wheel by Darius Rucker – we name it “Trev’s song” after one of the point to pointers we train as it was the first song we heard after he won a race. 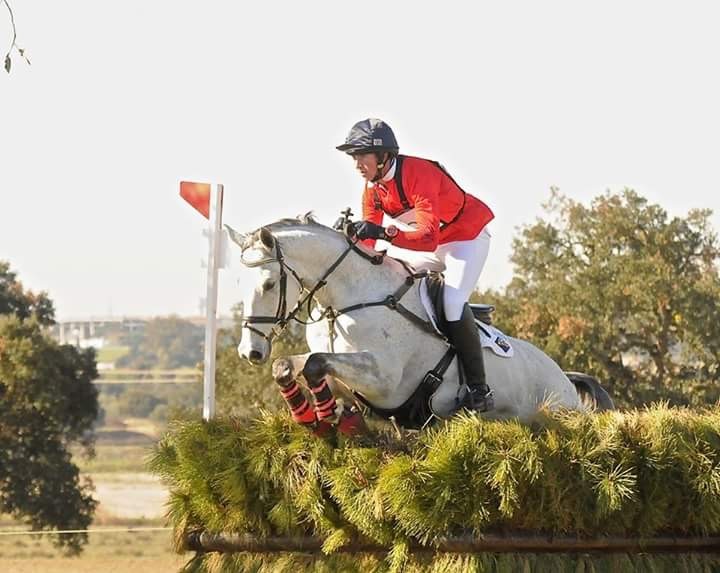 31 year old, stable jockey for The Preci Spark Event Team Sam Hobbs won the BE100 at Epworth Horse Trials on new ride Lime Rickey, owned by Mre Connie Edmundson. 1st time at this event but we will be back! 2 people, Jeanette Brakewell started it all off and I spent 8 and a half years fantastic years learning from her. Ginnie Turnbull plays a huge part in what I do, she is one of life’s proper people and i’d be lost without her. 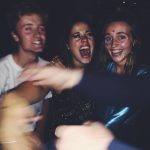 Adele Clarke, our head girl. She knows everything worth knowing! That you can get chill blains on your legs! Painful little blighters! My Mum has always warned me to wear good pants when I go eventing in case I end up in hospital! On one occasion when I had my breeches cut off me to reveal the most enormous pair of lilac bloomers, I wish i’d taken her advice! Allerton Park or Burgham, fab courses and everyone seems friendlier up north! Thai green curry and a beer! 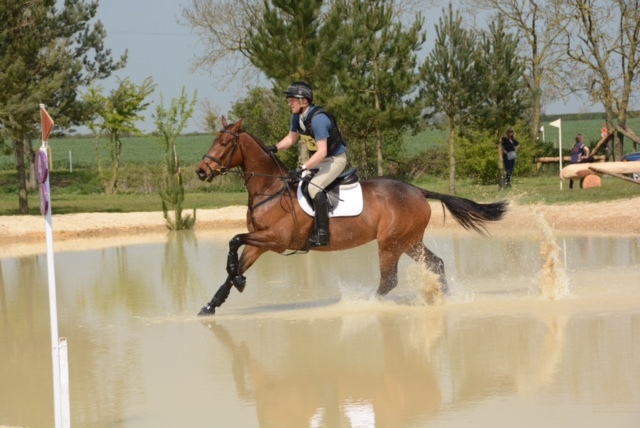 20 year old, Naomi Lawrence from Buckinghamshire won the ON at Isleham Horse Trials. 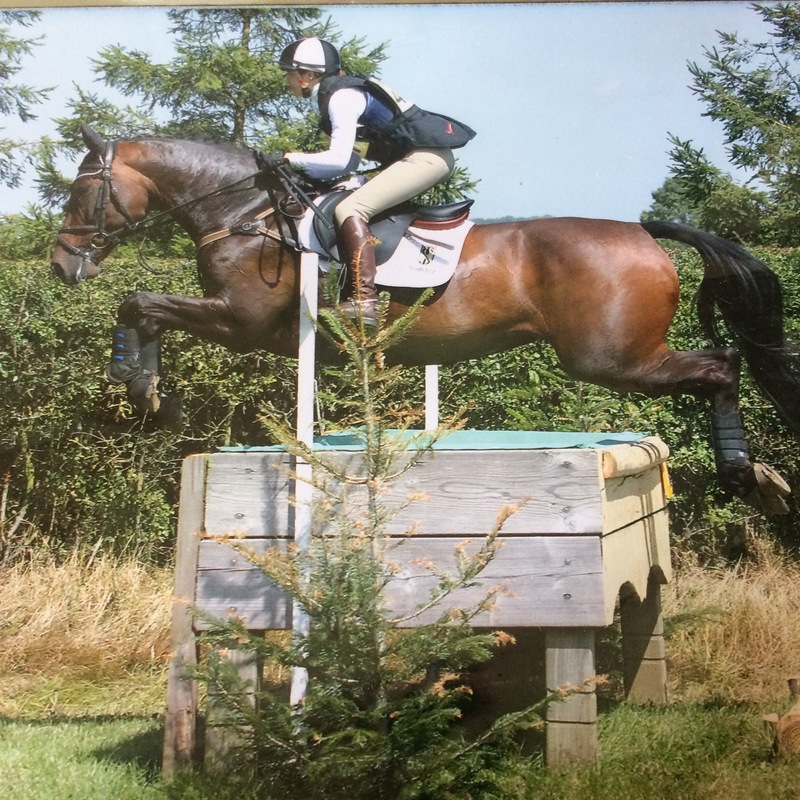 She has competed up to CCI**/Intermediate with her two top horses and also runs a small yard, where she freelances and produces a few young horses. To do Belton and Withington and a few other young rider trials and Intermediates. 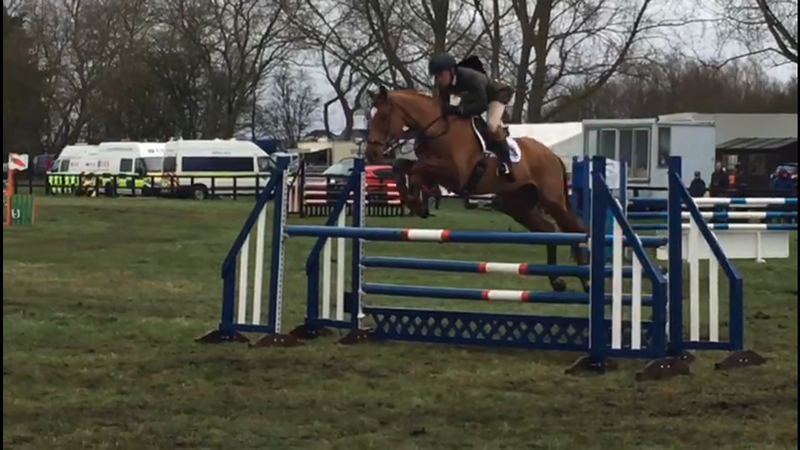 Then maybe Houghton CCI** and Aston Advanced under 25. I’ve been there before and was really impressed with the ground last time. We’d had such bad weather leading up to that weekend. Isleham was the only event to run on the Sunday so definitely a reliable event that I will be entering again. I’ve worked for a few event riders now. I spent quite a few school holidays working for Vere and Clea Philipps when I was 16/17. They had a big influence on the way I ride and train the young horses. It was the little odd things, devices or exercises that you wouldn’t think about that just made you one step ahead of the horse. I learnt lots from watching them both ride too and loved it. 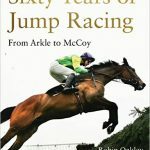 I worked for Gemma Tattersall last year too and she had a big influence on my jumping technique and helped me get my rounds more accurate and stylish. Well my team is just me and mum at events and dad drives the lorry.. but he would have no idea how to even put a head collar on a horse. So, I would have to say mum. She’s amazing and we’ve had some really tough learning curves, as we’ve had to learn as we’ve gone through the levels. She’s so supportive and always has a positive outlook on it all, even if I’m feeling down. I would 100% not be where I am without her because if dad had his way.. I’d be at uni and the horses would all be sold, haha. Do you’re own thing. Don’t worry about what everyone else is doing. With all the pony/junior/young rider schemes you can get caught up in it all. Don’t rush or push yourself when you’re not ready, likewise don’t push or ruin a horse over it. Take your time producing them carefully, their confidence and trust in you is so important. There are so many stupid things we’ve done, some of them took a few weeks to be funny though. Standout one..maybe that mum gave the wrong horse the calmer before it’s dressage. The wild one who was meant to have it was wild!! And the one who got it by accident, (who was already a lazy and way too laid back horse) was so chilled out it lay down by the lorry..
I’d have to say Aston.. I’m trained by Nigel Taylor so I’d probably be in trouble if I didn’t say Aston. The facilities are incredible!! Usually a Chinese takeaway or a massive pasta meal. I don’t really drink much but mum made me have a glass after the win and of course you can’t say no to that. Anything that Catfish and the Bottlemen do I know all the words too!! 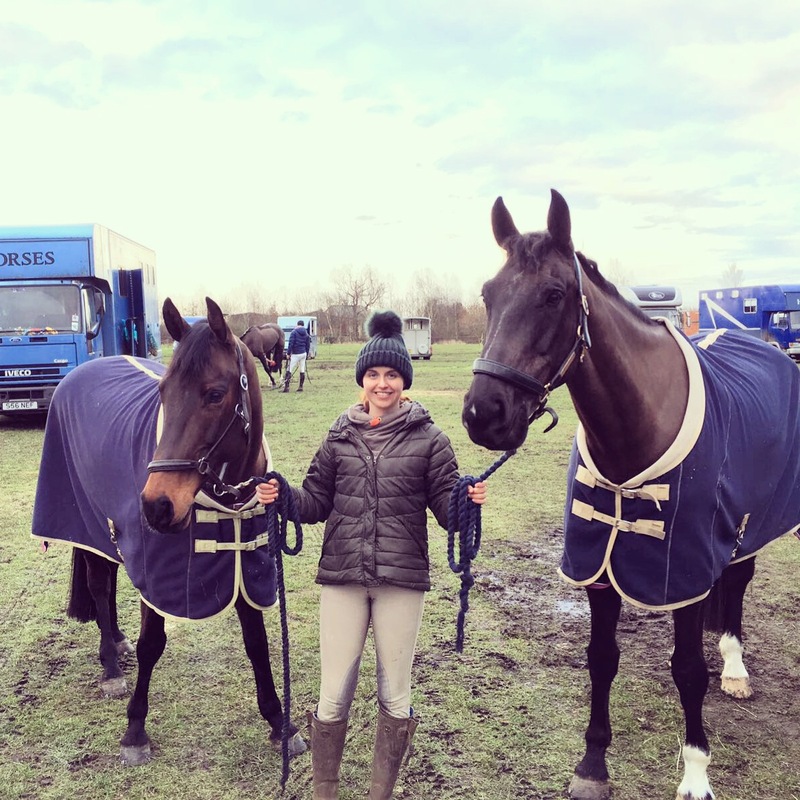 But obviously who can’t sing along to Ed Sheeran at the minute..
45 year old, Helen Howard who has been eventing since she was 21 won the BE90 at Epworth Horse Trials on a 14.2hh pony that she is producing for her sons (Edward and George). She has had the pony since a 3 year old. What are your aims for 2017 for this horse(s)? 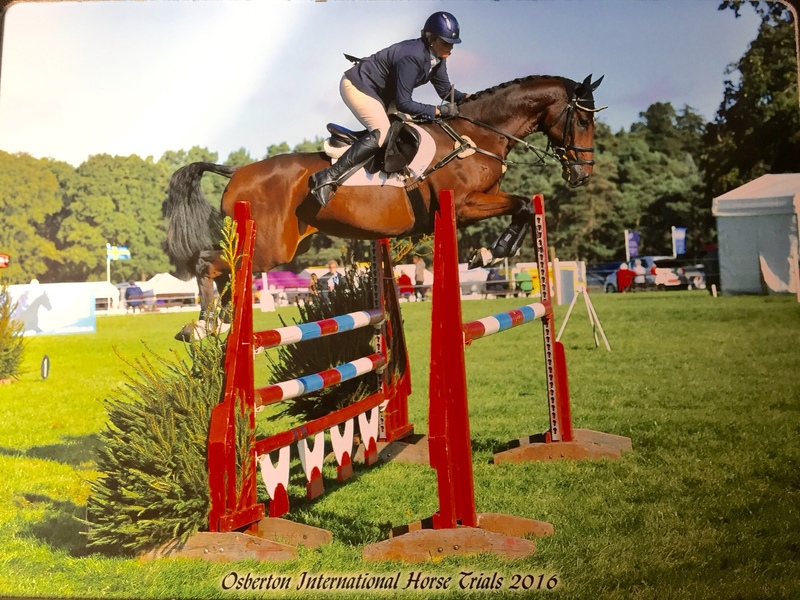 I’ve got Clyde who is aiming hopefully to do a novice at the end of the season and a homebred horse called cheeky who I am aiming for Osberton CCI**. It was my first time at Epworth as it is a new event, but it is a very good event. 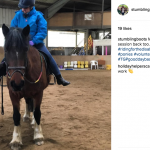 I have always looked up to Nicola Wilson as I’m also from Yorkshire, she was a member of the Bedale pony club I was in the Bramham Moor pony club where I did pony club games and represented Great Britain doing pony club games. My husband and Sophie who works for me. He is very very supportive and Sophie keeps the yard going. How hard it is to win!! Missing a fence out showjumping. Allerton park because it’s in a lovely park and it’s in Yorkshire!!!! London Grammar – hey now!! I love Florence and the machine as well. Huge thanks and congratulations to all the riders for sharing their wins with us and thanks also to Jodie Seddon for her input.